Challenges in Translating Therapeutic Frontiers in Clinical Trials: Where Are We Now and What's Next? Keywords: Translational model; Clinical trials; Diagnostic Statistical Manual; Drug response. Remarkable progress in elucidating the molecular pathogenesis and neurobehavioral features of fragile X syndrome (FXS) since the discovery of the FMR1 gene in 1991 has paved the way for novel therapeutic targets in FXS (reviewed in . FXS is caused by a mutation in the Fragile X Mental Retardation 1 gene (FMR1) that typically expands the normal 30-45 CCG triplet nucleotide repeats to >200, termed the full-mutation (Figure 1). The expansion then leads to the epigenetic silencing of the gene and absence of its encoded protein, the fragile X mental retardation protein (FMRP), an RNA-binding protein that heavily expresses in the brain. Importantly, FXS is the leading cause of inherited form of intellectual disability (ID) and the most known monogenetic cause of autism spectrum disorder (ASD), which places major economic and public health burden on society worldwide. ASD is purely behaviorally defined by Diagnostic Statistical Manual-5 , in contrast to FXS that is a medical/genetic disorder characterized by ASD in up to 2 out of 3 males. As such, FXS is the most studied ASD model 'disorder of synapse' due to their profound clinical and biological overlaps [3,4]. Specifically, FMRP targets approximately 4% of the transcribed mRNAs in the brain , and many of 842 to date identified such targets converge on the same pathway as idiopathic ASD [6-8]. Then the lack of a specific treatment for both FXS and ASD have propelled the need to develop core targeted therapies. Briefly, since FMRP acts as a "brake", the absence of the fragile X gene's encoded protein in FXS causes up-regulation of metabotropic glutamate receptor 5 (mGluR5) and mTOR signaling and down-regulation of GABA signaling [9,10], which leads to an imbalance in neural excitation/ inhibition. Collectively, these findings constitute 'the mGluR theory' as defined by Bear and colleagues . 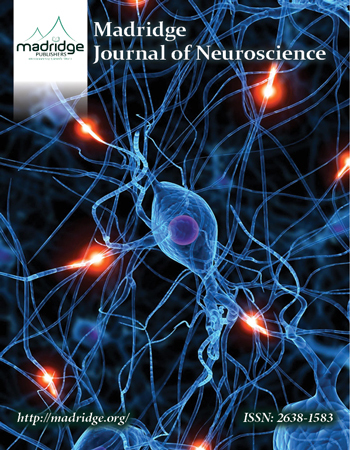 Initially, series of preclinical studies have used the FXS 'gold standard' animal model (the FMR1 knock-out) to build novel targeted therapeutic using GABA-B a receptor agonist and mGluR5 antagonists.These studies have replicated rescue of the core FXS behavioral phenotypes and the core dendritic dysregulation by modifying the excitatory/inhibitory imbalance [11,12]. Thus, they generated much interest in the field as illustrated by a total of 22 double-blinded, randomized, and placebo-controlled clinical trials in humans with FXS revealed through a January 2016 search of the US Food and Drug Administration (FDA) ClinicalTrial.gov website and literature search . These 22 mostly phase II trials tested 13 compounds in adults and adolescents with FXS, 80% of them targeting the excitatory/ inhibitory imbalance. However, as key well-powered clinical trials failed to meet their endpoint outcomes, they were deemed disappointing for the field in light of the aforementioned preclinical promises. Nevertheless, the 'crisis' also generated 'an opportunity' as they illustrate the gaps and challenges of translating preclinical breakthroughs from the mouse model into humans with FXS that provide important lessons for the field ('we cured the mouse, but the mouse is not the man'). For example, even in the well-designed, properly powered study by Berry-Kravis and colleagues  to study the mGluR5 antagonist mavoglurant, negative findings provide an opportunity to reflect on these clinical trials designs, and provide lessons for treatment studies of FXS, ASD and other neurodevelopmental disorders [15,16]. Executing clinical trials is often a fundamentally complex and challenging process. In such recent studies in FXS, challenges have been revealed associated with designing and implementing these clinical trials over the past years. The challenges in designing a FXS clinical trial in part arise from the lack of a baseline "standard model" that guides clinical trials before 2002. There are no reliable and validated or "gold standard" outcome measures to capture response(s) of these treatments, in particular short-term ones . Thus, the 'failed' clinical trials designs were not able to fully capture all of meaningful benefits of the new medications on the core behavioral effects. In that regard, an effort is under way by the Fragile X Clinical and Research Consortium to further analyze arbaclofen FXS Trials - participants breakdown by drug response, to gain a greater insight into the GABA-B agonist potential benefits. Hence, rather than prematurely concluding that the targeted treatments are not effective in FXS, the recent key clinical trials serve as important 'lessons learned' for future ones in FXS and ASD. How can clinical trial design and implementation of FXS and ASD be improved? Future clinical trials should take into account the patient stratification into endophenotypic subgroups within FXS though different models . Thus, further studies of neurobiological (i.e., molecular, imaging) correlates with clinical phenotype are needed to understand the full value of FMRP. Innovative assays in the FMR1 gene diagnostics  and other methods aim to further investigate mediators of the core dendritic dysregulation in FXS are also needed. Together, by profiling at baseline which persons with FXS may best respond to a particular treatment , the future studies should also aim to develop personalized medicine options for FXS and ASD. The negative findings in the recent well-designed, properly powered studies can serve as a translational model for future clinical trials as for (i) the need to study for longer period of time (6-12 months), (ii) prebubertal age group(s), (iii) develop more objective clinical outcome measures (i.e., clinician-based, relevant learning paradigms, and desired biomarkers), and (iv) longer placebo run-ins to minimize the placebo impact for both FXS and ASD. Ultimately, a truly satisfactory FXS, and ASD, therapy may likely involve a combination of drugs (and learning paradigms), each targeting a different aspect of the core synaptic, cognitive and behavioral impairments in FXS. That highlights the need to create new paradigms in how clinical trials are designed and conducted to gain a deeper understanding of drug response(s). Budimirovic D, Subramanian M. Neurobiology of Autism and Intellectual Disability: Fragile X Syndrome. In Johnston, M. V. (Eds. ), Neurobiology of Disease (2nd ed.) 2016; 52:375-384. New York: Oxford University Press. American Psychiatric Association. Diagnostic and statistical manual of mental disorders. 5th ed. Washington, DC: USA; 2013. Budimirovic D, Haas-Givler B, Blitz R, Esler A, et al. Consensus of the Fragile X Clinical and Research Consortium on Clinical Practices Autism Spectrum Disorder In Fragile X Syndrome. National Fragile X Foundation Website. https://fragilex.org/treatment-intervention/ consensus-on-clinical-practices/. Accessed February 13, 2016. Budimirovic DB and Duy PQ. Neurobehavioral Features and Targeted Treatments in Fragile X Syndrome: Current insights and Future Directions. Engrams 2015; 37(4): 5-19.